As part of my volunteer conservation work, we have been widening various rides on the Mottisfont Estate, to aid butterflies on their travels. 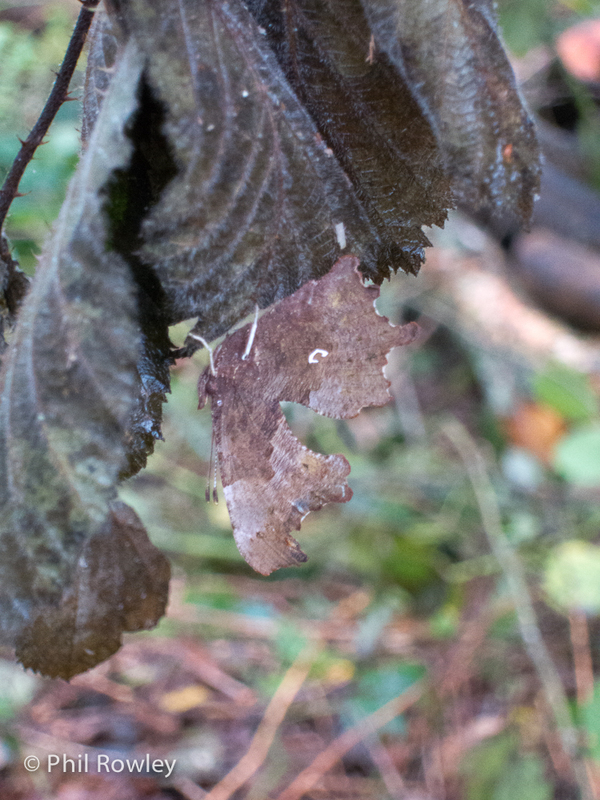 Considering it is almost December we were lucky enough to have been visited by a Comma. A very nice butterfly, and you can see from the picture, one the easily blends in with the background. Luckily they seem to have a white ‘c’ on their underside… which is a bit of a give away!